Thelma Krull's family and friends say they're not surprised the police now think the 57- year-old grandmother could have been abducted when she went missing last summer. Thelma Krull is seen here with her husband Robert Krull in an undated photo. Thelma Krull has been missing since July 11, 2015 after she went for a walk in Civic Park in the Valley Gardens area. Thelma Krull's family and friends say they're not surprised the police now think the 57-year-old grandmother could have been abducted when she went missing last summer. "Not a surprise." said Thelma Krull's husband Robert Krull. 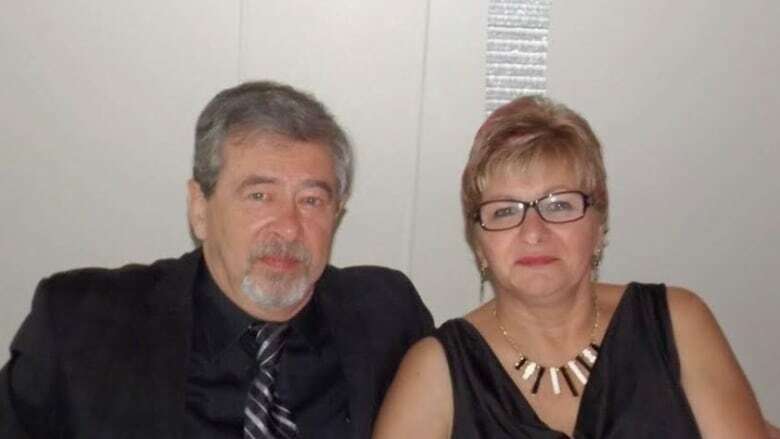 Robert Krull spoke for the first time since Winnipeg police revealed on Monday that they now believe his wife underwent some sort of distress and that she may have been abducted while she was out for a walk in the Valley Gardens area on July 11, 2015. Her glasses were found on Kimberly Hill several days later. Krull's cellphone was also discovered in the area that same day. Krull said he and his family spoke to Winnipeg police last week about the latest developments and he praised investigators working on the case. "We had a meeting on Thursday and I'm amazed at the depth police have gone into, things they have done I never expected, they made it a top priority kind of thing and I appreciate everything they've done." Krull said. But he stopped short of saying he's satisfied with the police investigation so far. "I'll be satisfied when I get answers." Thelma Krull's friend Connie Muscat said the last couple of days have been extremely emotional for the Krull family, but added she isn't surprised police are now considering Krull could have been abducted. "Hearing those exact words were hard but we were also very pleased that the community can now understand," Muscat said. "I think the police said it perfectly yesterday when they described it, as we should always be very aware of our surroundings and worry about our safety regardless of where we are." Krull, who is a Winnipeg Transit driver, was joined by Muscat and members of the Amalgamated Transit Union when he delivered a cheque for $6,796 to the Canadian Centre for Child Protection in Manitoba on Tuesday. The funds were raised with the help of the union which donated $5,000 towards a $10,000 reward to help find Krull. Darryl Antymniuk, chief inspector for Winnipeg Transit, said he and his colleagues came up with the idea of selling safety whistles to help support their friend. "I thought Child Find Manitoba was a perfect fit after all we're all someone's child," he said. "I can't imagine what the Krull family is going through, what Bob is going through, I can't imagine my wife walking away in the morning and then never seeing her again." said Antymniuk. Christy Dzikowicz, director of the child safety and family advocacy division with the Canadian Centre for Child Protection in Winnipeg, said she's humbled by the gesture. "When we see families who are dealing with tragic circumstances we're almost always humbled by them," said Dzikowicz. "And to know that these people, these colleagues of Thelma's family, to see their resilience after a year of heartbreak they're willing to and wanting to take the time to help other people is remarkable." The funds will go towards support services for families of missing children in Manitoba.